​In this episode of STEAM Up the Classroom, Tori Cameron provides a quick update on all of the exciting things that have been happening lately. She talks about a few life updates, the MassCUE Classroom Grant she received for Nintendo Switches & Nintendo Labos, and announces that she just learned she's been selected as a finalist for an incredible honor. Thank you for listening! More episodes to come this spring! Mandi Figlioli joins Tori Cameron a third time to catch up and chat about how the new STEAM Lab is going for Tori, having a maker mindset, MassCUE, Mandi’s new children’s book Miss Makey and the Magic Bin, Mandi and Tori’s strong love of the TV show Making It, Amy Poehler and Ellen Degeneres, & so much more. This episode will motivate you, give you some great maker-ed ideas, and leave you laughing. ​On Season 2 Episode 2: Rachael Lehr joins Tori Cameron all the way from Perth, Australia. Rachael is an incredible STEM teacher who has won many awards including Teacher of the Year! 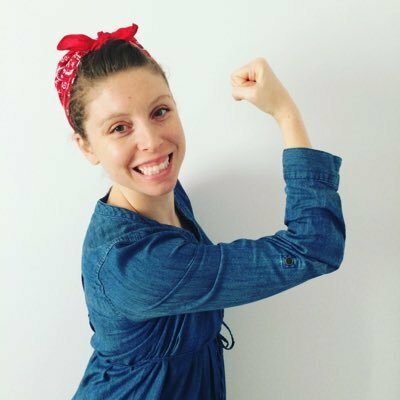 Rachael started Tori's favorite Twitter chat #primarySTEMchat and interviewing Rachael on this podcast is a dream come true for Tori! Rachael and Tori chat about #primarySTEMchat on Twitter, teacher PLNs, STEM clubs, teaching in a STEM specialist classroom, MassCUE, their favorite apps Seesaw and DoInk, and so much more. STEAM Up the Classroom's first episode of season 2 joins Tori Cameron with special guest Ben Newsome. Ben is the founder of Fizzics Education in Sydney, Australia, and is a global advocate for STEM education. Tori and Ben chat about teaching STEM to all types of students, Australian Education vs United States Education, universal obstacles STEM teachers face, the future of STEM education, and much more! 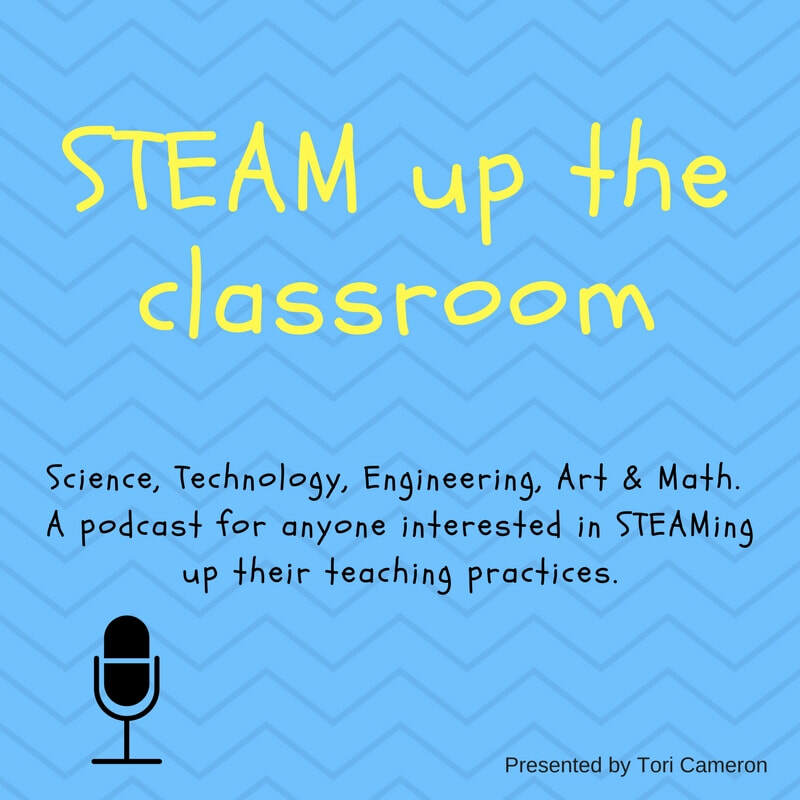 On Episode 12- Tori Cameron invites several of her students to chat about STEAM! The students chat about what they have learned this year, advice for teachers and students who are interested in STEM, middle school, what the future of STEM is, and much more. The students are candid and enthusiastic- definitely an episode you do not want to miss! 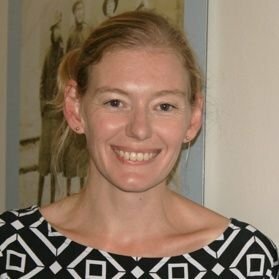 In Episode 11, Aidan Cornelius-Bell, a doctorate student from Adelaide, Australia, joins Tori Cameron via Skype to chat about the stressors teachers face in adapting to changes, what STEM and STEAM looks like in various types of classes, project based learning (PBL), #primarystemchat, reaching out to experts for help, and so much more. Tori even shouts out her favorite Boston radio station- 1033 Amp Radio! This episode provides great insight into the world of teaching, and how research can further the understanding of education, teaching practices, and teaching philosophy. 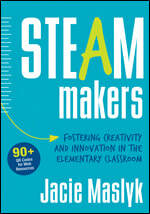 Have a listen, subscribe to STEAM Up the Classroom and let us know what you think! Get in touch with Aidan on Twitter @aidancornelius or on his website! On STEAM Up the Classroom's 10th episode, Sam Leah joins Tori Cameron via video chat all the way from Wagga Wagga, Australia. Sam and Tori chat about integrating STEAM in local museums, incorporating STEAM with social studies and history, and how schools and museums can collaborate. Local museums are an incredible resource for educators and schools, and the projects they are doing are powerful! This episode will leave you motivated and wanting to partner with your local museum! You can get in touch with Sam Leah on Twitter here! Chris Woods from the STEM Everyday Podcast and Tori Cameron combine shows in this special episode! Both Chris and Tori chat about STEM, finding STEM in daily life, why STEM is important, what the future of STEM is, and much more! ​Dr. Jacie Maslyk, Assistant Superintendent at the Hopewell Area Public Schools in Pennsylvania, USA and Mandi Figlioli, Assistant to the Superintendent in Burgettstown, Pennsylvania, join Tori Cameron for this makerspace filled episode. Topics include: what to do with a makerspace, integrating literacy with STEM and making, educator workshops, teaching ideas, and much more!